Neem is the only herb in the world that exceptional medicinal and healing properties. It purifies the air, cleanses your aura and the antimicrobial and anti-bacterial properties bring a lot of skin benefits. The industrial market seems to be taking advantage of this herb to make cosmetics and bring miracles to million users. This indispensible ingredient in the cosmetic industry is found everywhere. From soaps to face creams, face packs, face wash to shampoos. 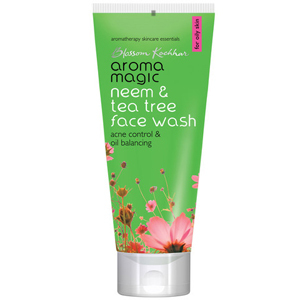 Here are the top 10 best neem face wash available and highly marketed in India with their benefits. 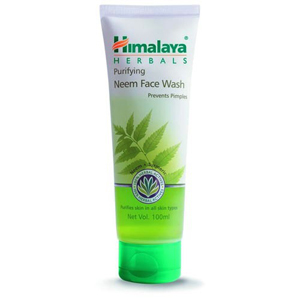 Himalaya Purifying Neem Face Wash is enriched with pure neem essence that helps in the purification of skin by pr`oviding elasticity. It nourishes and revitalizes your skin with its anti-bacterial and anti-oxidant properties. It acts as toner and tightens skin. It has anti aging properties. It is effective on all skin types. It has the goodness of Neem that detoxifies and purifies your skin. 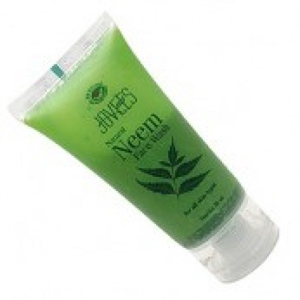 Jovees Natural Neem Face Wash is one of the most leading cosmetic wash in India. Partly because of the neem content and partly because of its brand reputation. The face wash is 100% herbal and its unique composition fights impurities. This face wash cleanses your skin thoroughly to remove impurities and give instant glow. 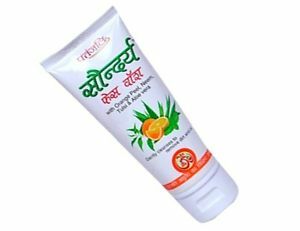 This leading skin lightening brand acts as an exfoliator to ward off dead skin. The goodness of neem leaf extract and tea tree oil adds value to your money. It smells good and gives instant glow. Its special formula fights imperfections. It removes inlayed impurities from the skin. Shahnaz Husain Tulsi Neem Face Wash is free of soapy properties. Active ingredients like neem, lemon peel, tulsi and aloe vera juice helps in retaining your skin moisture. 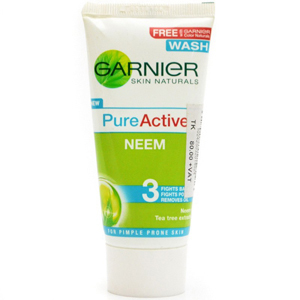 This purifying neem face wash cleans all your skin impurities and gives an instant glow. The extracts of neem cleanse impurities. It keeps the skin fresh and soft. It brings a healthy glow to your face. 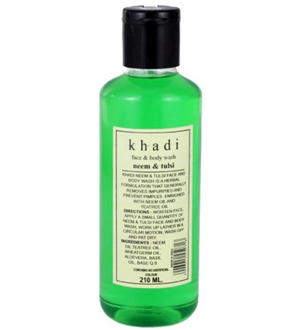 Khadi Neem Herbal Face Wash is another most popular face wash in India. Its anti-microbial and anti-oxidant properties eliminates skin infection and other related diseases. Tulsi content helps in toning and stimulating your facial skin. It acts as a toner and purifier. It is rich in anti-microbial and anti-oxidant properties. It fights germs and free radicals. It keeps skin soft and revitalized. 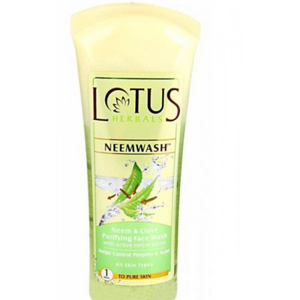 Lotus Neemwash Neem & Clove Purifying Face Wash with Active Neem Slices is a neem flagship of the most famous Lotus brand. It contains high concentration of neem extracts that leaves a soothing and cleaning effect on the skin. It contains neem extracts that cures acne and blemishes. It cures eczema, psoriasis and other skin related problems too. It gives a soothing effect on the skin. Neem Tulsi Face Wash from Patanjali washes away excess oil and dirt from your face and gives you a perfectly glowing skin. It acts as a pimple controller and the honey and aloe content rejuvenate skin tissues for a smooth and fresh feeling all day long. It fights bacteria and prevent pimples. It fights pollution and remove impurities. It deep cleanses pores and washes away excess oil from the face. The neem & tulsi content kills germs and rejuvenate skin tissues. 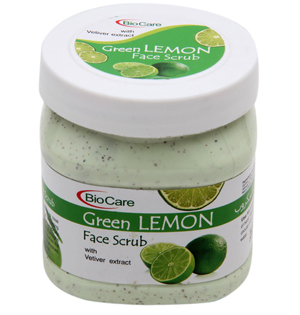 Biocare Neem Face Wash is enriched with the goodness of neem, aloevera and mint. These content help in the prevention of pimple breakouts and control acne related problems. Its antibacterial properties cleanse pores and washes away excess oil from the face. It helps in controlling acne and pimples. It gently removes impurities from the skin. Ayur is another best cosmetic brand for glowing skin in India. 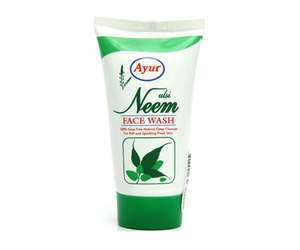 Neem Tulsi Face Wash from ayur cleanses dirt, dust and grime and removes excess oil from the face. The anti-fungal properties fights pimple related problems. It has a 100% soap free formula. The anti-fungal properties make your skin soft. It mildly cleanse the skin and removes excess oil. It is a totally herbal face wash to treat acne. The neem and tea tree extracts maintain oil balance in the skin. It also lightens scars and blemishes to give you a perfectly healthy glowing skin. It has a gel consistency that is slightly thicker than regular face washes. It cures acne and maintains oil balance. It smells good and is quite affordable.